The difference between vegetable stock and broth? Are they not the same thing? Somebody would ask and insist they are one and the same. In fact, except for culinary experts, getting the difference between two almost similar items is hard. As such, most people interchange the two and would never realize that they took vegetable stock while they thought it was broth. So, what really is the distinction between the two? The main difference is that to make vegetable broth one uses clean and well-trimmed vegetables. They are then prepared like those the cook would plan to be consumed in a chunky vegetable soup. As for the stock, one uses clean and untrimmed vegetables with stems, leaves, roots, shoots, peels, stalks, and skins. Sometimes the trimmings are saved form the preparation of other dishes. Now, if you’re looking at it from a culinary point of view, the other main difference is here. Vegetable broth is prepared to be used in flavoring side dishes such as rice or as a foundation for a soup. Stock, on the other hand, is used in main and gravy dishes. All in all, both are valuable additions to any kitchen. What is A Vegetable Stock? The term vegetable is used to refer to any of the numerous herbaceous plants usually used as food. The plants include onions, cauliflower, and cabbage. Stock, on the other hand, is defined as a flavored liquid preparation that is mostly used to form the basis for many dishes. The dishes made from stock include broths, sauces, and soups. When making vegetable stock, therefore, it involves simmering vegetables in water. If need be, other spices can also be added for flavoring. Vegetable stock is an excellent and flavorful alternative to other water or meat-based stocks. It is regarded as an essential flavor-building component for the best vegetarian cooking. What is A Vegetable Broth? The broth is defined as a savory liquid that is made of water in which food options such as fish, vegetables, meat, bones, rice, and barley are simmered. 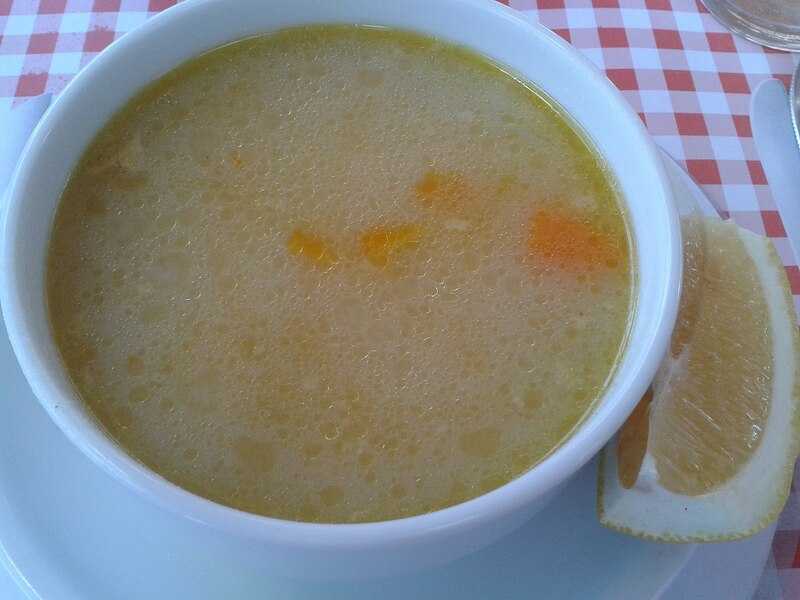 Broth can mostly be eaten alone, but in most cases, it is used to prepare other dishes such as sauces, soups, and gravies. Therefore, a vegetable broth is any liquid in which vegetables and a number of other ingredients are simmered or cooked. Both vegetable stock and broth are prepared using the same method, and most of the ingredients are common. To prepare each, it begins with water and includes ingredients such as parsley, bay, carrots, celery, onion, thyme, and pepper. They also can both feature beef, chicken, venison, veal, pork, or hen. In addition, they both add either vegetables into the mix including tomatoes, cauliflower, and broccoli. There is a major distinction between vegetable stock and vegetable broth. This is at least in the recipes that one uses. Vegetable stock, for example, requires one to sauté the vegetables before they add water. As for the broth, the cook only needs to simmer the vegetables for about an hour or a little more. While preparing vegetable stock, one uses clean but untrimmed vegetable with their leaves, stems, stalks, skins, peels, roots, and skins while in preparing vegetable broth, one uses clean and well-trimmed vegetables. When comparing their flavors, the vegetable stock has a fuller flavor than broth. The vegetable stock also does not react the same way with broth for processes like deglazing. In addition, stock gathers most of the wonderful drippings all over the sauté pan and binds them together while broth does not mix with them fully. Vegetable stock is normally used as a basis for other dishes including broth and soup as it is not seasoned. That explains why it is somewhat tasteless. Vegetable broth, on the other hand, is usually consumed by drinking, normally on its own. This is because it is seasoned in advance. While preparing vegetable broth, there is usually more meat than the bones in the mix. Stock, on its side, has far less meat but has more bones on focus. Also, the ingredients used in preparing vegetable stock are simmered in water and then later removed which leaves behind a highly nutritious liquid. In making broth, however, the ingredients are not eliminated when the cooking is done. Even though both the vegetable stock and broth are almost similar meals, they differ in several perspectives. The processes of preparing them are also almost similar but differ in scattered stages too. The ingredients are also the same even though such steps as trimming cabbages, the inclusion of more or less meat and the presence of bones differ. As of the additives and salt levels, how they are controlled are two varied steps too respectively. Sarah Brown. 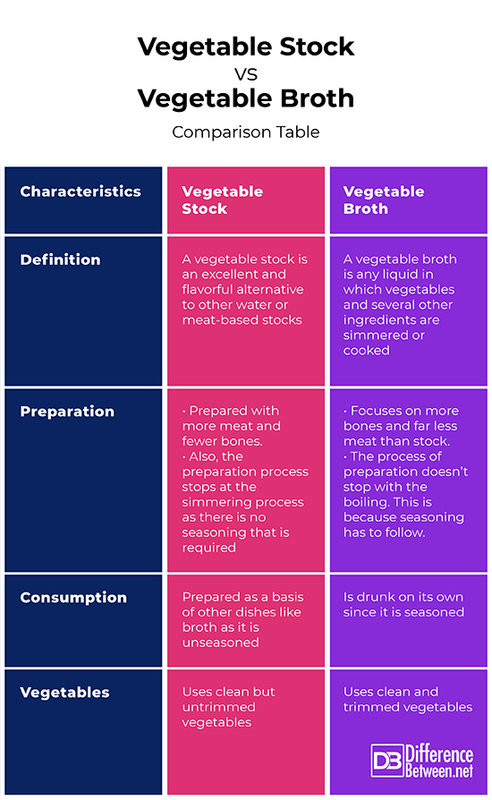 "Difference Between Vegetable Stock and Broth." DifferenceBetween.net. January 10, 2019 < http://www.differencebetween.net/miscellaneous/difference-between-vegetable-stock-and-broth/ >. 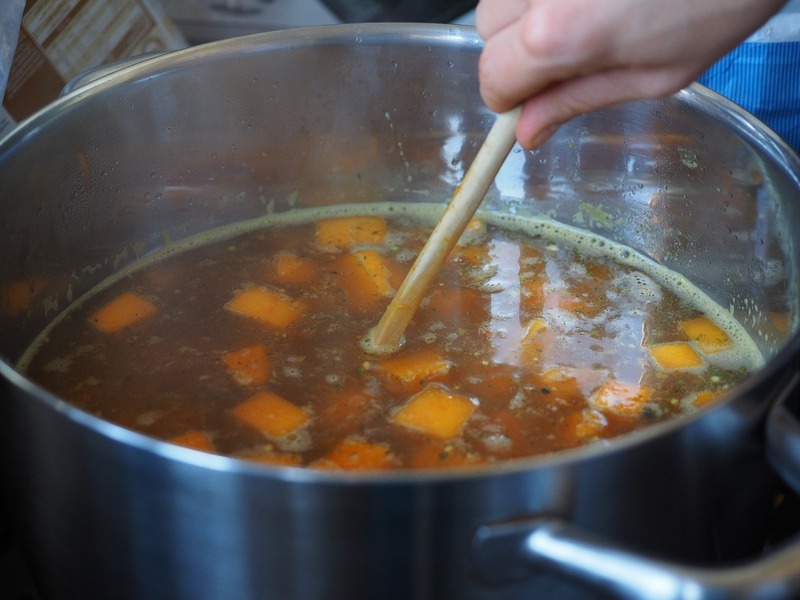 "What Is The Difference Between Vegetable Broth And Vegetable Stock?". Food52, 2018, https://food52.com/hotline/3540-what-is-the-difference-between-vegetable-broth-and-vegetable-stock. Accessed 5 Dec 2018.